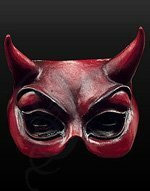 Modern technology enriches an age-old handicraft: Venetian eye masks are now made of metal! The traditional, very feminine Columbina shape is now available in gracefully sweeping forms, filigree surfaces and enchanting color effects from iridescent to gradations. Gossamer shapes are laser cut from stable metal with a special coating. 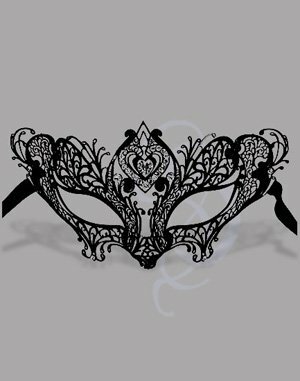 The masks are formed and then decorated with glitter or Austrian crystals. The result: delicate eye masks fit for princesses and bad fairies, evil witches and angels. 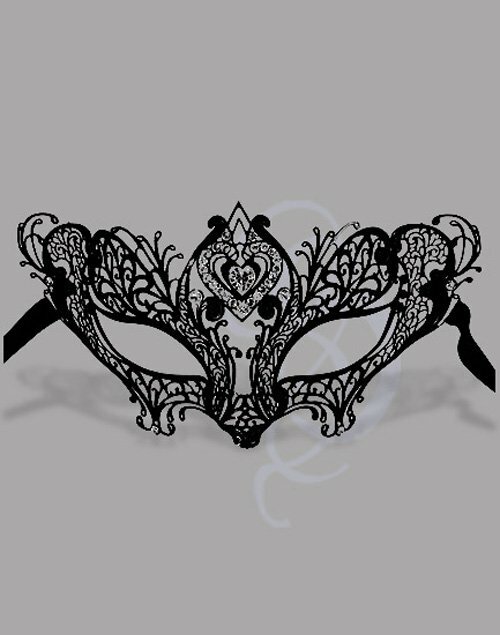 The metal Venetian mask comes with satin ribbon ties.